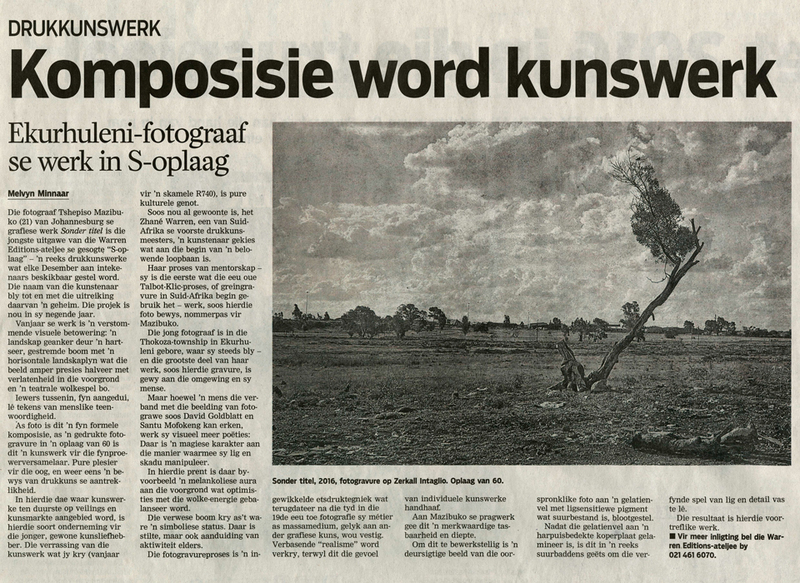 Melvin Minnaar has written a review on the photogravure by Tshepiso Mazibuko. The Edition S of 2016, is an edition of 60 prints. Tshepiso Mazibuko is a 21 year old photographer residing in Johannesburg. A photograph was translated into a copperplate photogravure etching. Making tangible and permanent with oil-based ink on paper what only existed digitally; making multiple with the matrix, which on it is etched the photogravure.